OTTAWA, Feb. 15, 2017 – The defeat of ISIS, the terror group spreading chaos across the Middle East, is close at hand. Now, what comes next? 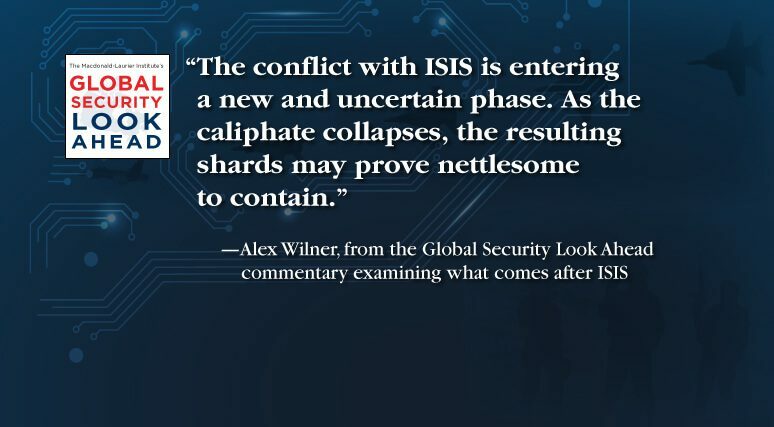 Munk Senior Fellow Alex Wilner, in a new commentary for the Macdonald-Laurier Institute’s Global Security Look Ahead series, argues the caliphate’s collapse will create new counterterrorism challenges in the months and years to come. “With ISIS facing near certain strategic defeat in the coming year, attention must now be paid to anticipating what the caliphate’s territorial collapse will mean to the remaining surviving foreign fighters and recruits”, writes Wilner. One challenge in particular stands out, says Wilner: ISIS foreign fighters and recruits, uprooted from their caliphate, may be especially motivated and prepared to spread mayhem abroad. This is especially true given the astounding success of ISIS’s recruitment efforts. Since 2011, American intelligence agencies estimate that 40,000 foreigners from over 100 countries have travelled to Syria and Iraq. Leave the battle altogether, turning their backs on terrorism for good. Stay in Iraq and Syria following ISIS’s defeat, re-establishing themselves as another terrorist or insurgent organization. Join the ranks of other militant groups already active in the region, including Al Qaeda’s most prominent franchise, Jabhat Fatah al-Sham (formerly known as Jabhat al-Nusra) in Syria. Travel abroad to establish or strengthen militant offshoots in Jordan, Tunisia, Saudi Arabia, and elsewhere. Establish terrorist cells and networks within their home countries as ISIS’s foreign legion. We can expect more attacks like the 2015 and 2016 attacks in Paris and Brussels. To read the full commentary, titled “Defeating ISIS Is Just The Beginning”, click here. 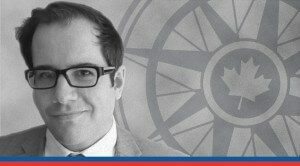 Alex Wilner is an Assistant Professor of International Affairs at the Norman Paterson School of International Affairs (NPSIA), Carleton University, and a Munk Senior Fellow at the Macdonald-Laurier Institute.